The Nut Job 2 is a 3D animation movie which is still in production. It's all set to release in May 2017. 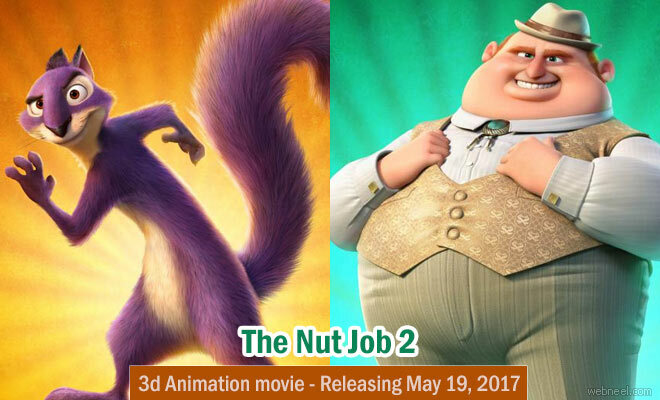 It's a sequel series to the "The Nut Job" which was released in 2014. The film's voice cast are Will Arnett, Gabriel Iglesias, Jeff Dunham, Katherine Heigl, Maya Rudolph, Jackie Chan, Bobby Moynihan, Bobby Cannavale and Peter Stormare. It's produced by Gulfstream Pictures, Toonbox entertainment and Redrover International. The animation movie is directed and written by Carl Brunker. The format of the movie is 3D CGI & 3D Stereoscopic. Plot: The story moves from the events which happened in the prequel "The Nut Job". In this sequel, it's upto Surly and his friends to stop the Mayor from destroying their home and building an amusement park in it's place. According to Toonbox Entertainment" When the evil mayor of Oakton decides to bulldoze Liberty Park and build a dangerous amusement park in its place, Surly Squirrel and his ragtag group of animal friends need to band together to save their home, defeat the mayor, and take back the park". Cast and Characters: - Will Arnett(Surly) a purple squirrel who is the hero of the movie. - Bobby Moynihan(Mayor) who is all determined to set up a dangerous amusement park after destoying the liberty park, which is the home for many animals. - Bobby Cannavale(Frankie) who stars as the mayor's pet bulldog. - Peter Stormare(Gunter) an ecstatic animal control officer and many others.